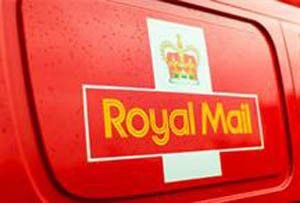 Was Royal Mail sold on the cheap? With its shares still trading at 70% over IPO price, Shadow business secretary Chuka Umunna reckons the postal privatisation was botched. He may have a point - if the shares had floated at the price they are now, about 561p, instead of at the 330p offer price, the Treasury would have been better off to the tune of over £2bn. That’s an awful lot of stamps, even give the price of First Class mail these days. Of course this is very far from being the first time that such accusations have been heard, it having become axiomatic in some quarters that the a valuable public asset has been flogged on the cheap in order to line the pockets of those sharp-elbowed City types. It is pretty clear by now that the Royal Mail was undervalued to some extent, and Umunna wouldn’t be much of a politician if he let such a gift from his opponent go unpunished. What Cable might have been better to try and get across is that it had to be undervalued, and substantially, in order to be sure of getting the issue away at all. Royal Mail being widely regarded in the City, righty or wrongly, as the last bastion of 1970s style industrial relations and inefficiency, the reality was that only a hefty and obvious discount at IPO was going to get investors on board at all. No-one would have bought at 400p, never mind 560. Unfortunately for Cable, even if you accept this scenario, he still ends up in trouble of his own making. Because once the shares have recovered whatever the real discount was, chances are that that investors will suddenly remember what it was about Royal Mail as a business that never really liked in the first place, and offload. Which will hardly lead to the kind of stable, long-term shareholder base that Cable always said he was after. Who’d be a politician? Will the National Living Wage be a disaster for some businesses?